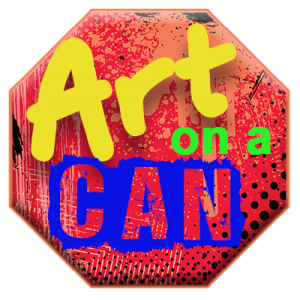 Art on a Can Contest is a fine art juried competition open to all visual artists, from novice to professional. The Art on a Can Contest is a celebration of the dynamic energy urban graffiti/street art offers through its craftsmanship and unique beauty with innovative use of shipping containers to connect to our ‘hip’ community. Art on a Can Contest is looking to showcase graffiti/street art on the new and upcoming Box Office Warehouse Suites made entirely of shipping containers, where art and business connect. Box Office Warehouse Suites invites urban street artists to participate in the Art on a Can Contest. Participants will compete for a $1500.00 grand prize. 5 artists will be chosen to create a 7.5 x 20-foot mural on container walls at the upcoming Box Office Warehouse Suites. Contest will be judged by (3 judges, TBD). Artists interested need to submit an application by Sunday October 15, 2017. Only original works of art will be allowed. The artwork must be inspirational, entertaining, informative, and positive. Sexual, insulting or derogative images or content are NOT allowed. Project proposal in the form of a drawing or a sketch. Must exhibit exceptional skills and knowledge in art impression and creativity. Have previous experiences and education surrounding artisan studies. Provide a resume or portfolio of previous work. $250 for contributing their knowledge and volunteering their time. The juried panel will receive an invitation to the Art on a Can One Day Public Art Festival. Recognition and thanks in our marketing campaign. Graffiti will be done on walls of shipping containers with spray paint cans with special tips and markers or other approved methods. No glass scratching is allowed. Nothing that would damage the property is allowed and if performed will be disqualified. Applications and additional documents must be completed by Sunday October 15, 2017. Finalists will be announced on Friday, October 20, 2017. $350 for materials paid by one of our sponsors. $350 paid as artisan work begins. $300 at the time of completion. An individualized press release on PR 24/7 wire account prepared by Eric Anderson, a professional writer. A YouTube video about them and their work featured on (BoxOfficeWarehouseSuites) YouTube Channel. A weatherproof plaque with the artist’s name and desired contact info posted with the mural. Visibility during the campaign; Box Office Warehouse Office Suites will have ads running in Fort Worth Magazine, Fort Worth INC, 360 West, and Ft Worth Weekly, as well as an extensive nationwide campaign promoting the one of a kind development. Permanent visibility on the Box Office Warehouse Suites web page with backlinks, including an image of the artwork, artist bio and contact information. The murals created by the five chosen artists will be showcased during the Art on a Can One Day Public Art Festival, Saturday, March 17, 2018. Art will be judged by a panel of judges. Judges score each criterion 1-10, with 10 being the highest. Scores are totaled for each painter, and then all the judges’ scores are added together. In case of a tie, judges must deliberate and pick a winner. Judges can award a zero if the artist broke a rule. Incomplete paintings and incorrectly spelled words are disqualified. Judges are chosen by the organizer. Decision by the judges is final. There is no appeal process. Color – Judges will be looking to see how well you used color to make your pieces. Originality – Judges are looking for something new and different than what you usually do. Surprise us. Also, your style must be unique. Technique – Here is where we consider you can control, and what you do with techniques that sets your piece apart from the pack. ***Rules, regulations, terms & schedules are subject to change without notice. All entries become the property of Box Office Warehouse Suites and may be used by Box Office Warehouse Suites in any and all media now known or hereafter developed for non-commercial and commercial purposes alike. Artists retain rights to use the images of the art as they see fit with attribution to the contest when appropriate.